Keely Hodgkinson and Kane Elliott are among the winners at the European U18 Championships as Britain tops the medals table. Great Britain’s young athletes had a super Saturday of their own bagging four gold medal and one silver on the third day (July 7) at the European U18 Championships in Gyor, Hungary. With 22 athletes of the 33-strong team competing during the session, there were many headline moments on the track and in the field, including three gold medals won inside 19 minutes. The gold medal haul matches the number won at the inaugural championships back in 2016 and sees GB jump to the top of the medals table with one day to go at the competition. 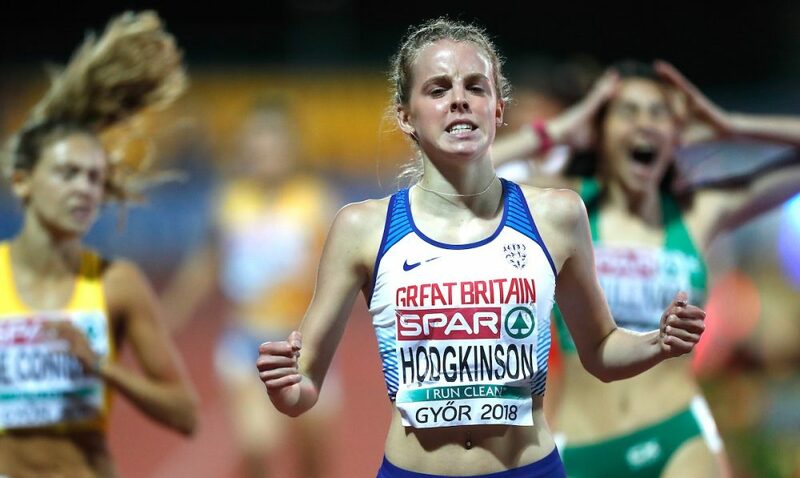 Keely Hodgkinson delivered an exceptional show of endurance to win the 800m gold. 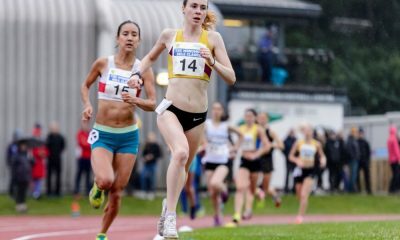 The Leigh Harrier used a similar tactic to her heat and semi-final, taking the inside lane and holding her line before powering away with 200m to go. 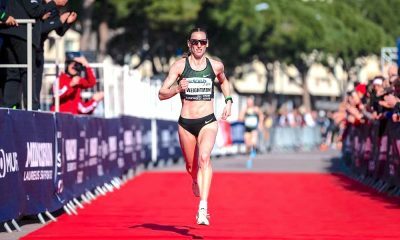 No one could go with her change of pace and the gap kept opening up as she won in a championship record of 2:04.86, outsprinting Ireland’s Sophie O’Sullivan, daughter of world champion Sonia. A dominant run in the 800m final for Great Britain's Keely Hodgkinson in a championship record of 2:04.84 and a medal for O'Sullivan! “This feels incredible, I cannot believe I am a European champion,” she commented afterwards. “It’s more than I could have dreamed really. I wanted the gold; I mean I would have been happy to medal but I wanted to win it. 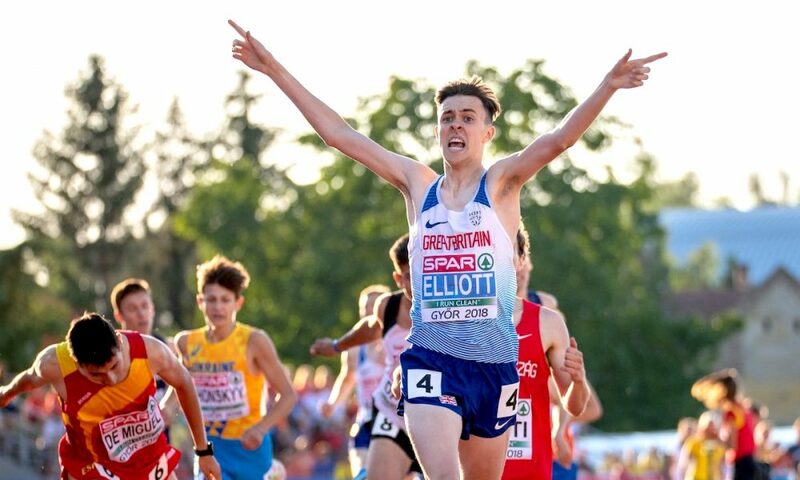 Earlier in the evening, Kane Elliott ran a sublime race to win the boys 1500m in a Championship record of 3:55.26. 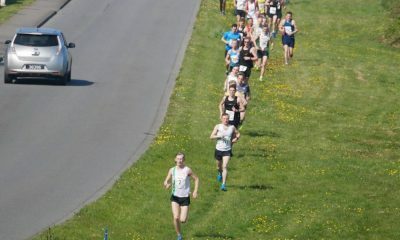 The Falkirk athlete hit the front of the field early on and appeared comfortable to dictate the pace for most of the race. However, on the final lap, he was overtaken by three athletes as he hit the 200m to go mark, and it looked like he was about to fade. Nevertheless, he showed great spirit to move out into lane two as he hit the home straight to make sure he wasn’t boxed in. He outsprinted the Hungarian athlete in the final few metres to claim his crown. “It feels amazing, said a shocked Elliott. “It was a very tough race but I’m so happy I had enough to get the win. It is an unbelievable feeling to be European champion. I am not sure I can get my head around it at the moment, it’ll take some time to sink in. In the burn up to the line, Jacques Maurice was 11th in 3:58.18. 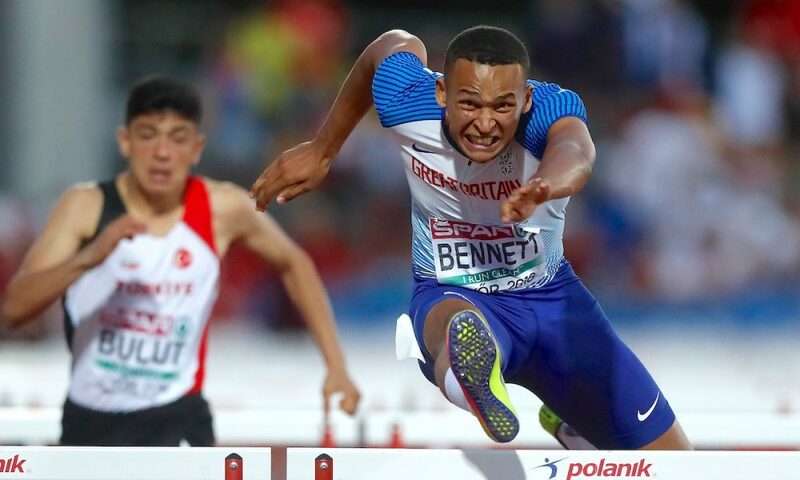 After breaking the championship record on two occasions on Friday, Sam Bennett recorded another one as he too claimed gold in the 110m hurdles. Bennett set an outright British U18 record in the process, this time with a legal wind after an advantageous tailwind denied him that in the semi-finals yesterday. His time was 13.19 (+0.8), setting an outright record which is of the highest quality for an U18 athlete, dominating from start to finish and winning by a significant margin in what was a highly competitive field on paper. The Commonwealth Youth champion said post-race: “I didn’t have any expectations of breaking records or setting PBs coming into these championships, I just came here to compete and run faster in each round. I didn’t come into this final as the fastest but that didn’t put me off. I wasn’t concerned about rankings; some people perform better on different stages. Elsewhere in the final, Jordan Ricketts (Anthony Pitt, Birchfield) had a great start to the race, but clipped a couple of the hurdles near the end to finish in seventh in 14.08. World U18 leader in the high jump, Dominic Ogbechie, delivered his best when it mattered to claim the European gold medal. A 2.22m leap earlier this year – a world age 15 best – put him as favourite months prior to the competition. He dealt with the expectation maturely clearing 2.16m to win the duel with the Ukrainian Oleh Doroschchuk. He cleared the height on his third and final attempt to seal the gold medal and his moment on top of the podium. A phenomenal 400m race saw Ethan Brown claim silver, but he was narrowly outside the gold after a late burst for the line. He was outside the medals with 100m to go, but he stepped it up in the closing moments, timing his race to perfection to earn his spot on the podium. It was a valiant effort by his teammate Ben Pattison who was just run out of the medals over the last 50 metres of so, finishing fourth in 47.25. The going was tough in the women’s 2000m steeplechase as the field became strung out fairly early in the contest. Elise Thorner battled well in the environment, clocking 7:08.51 for 15th place, coming soon after her personal best in the heats. After a fabulous display of front running in his heat on Friday, Max Burgin faced a similar situation once again, taking the victory and booking his place in the boys 800m final on Sunday. He looked impressive as he won his semi-final comfortably in 1:52.37. The closing day of action from Gyor can be watched live on Eurosport 2 and on the European Athletics website. 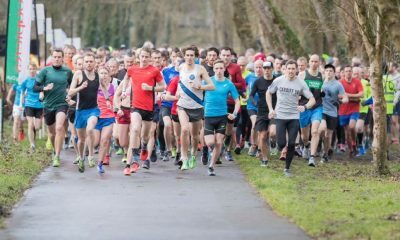 The timetable for each day can be found here and results here.